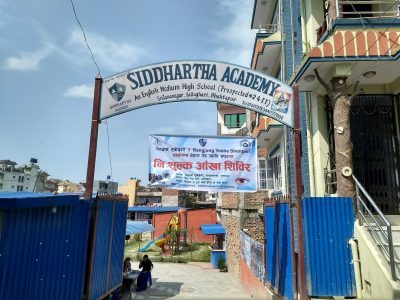 In coordination with Nepal Netra Jyoti Sangh, and partnership with Siddhartha Academy in Sallaghari, Ranjgung Yeshe Shenpen conducted a free eye camp on 31stMarch, 2018. 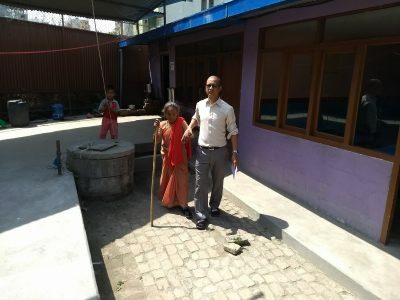 This eye camp targeted the elderly residing near Katunje, Thimi, Suryabinayak and other surrounding areas to Bhaktapur. Even people from as far as Kavre District were present at the eye camp. Volunteers from the academy made the posters and pamphlets for the eye camp and also mobilized the local health volunteers for door-to-door campaign for the eye camp. The Eye Camp started at 10:00 am when people began arriving to register for the eye camp. Patients had to wait for about an hour to get their eyes checked. Volunteers from Siddhartha Academy were present to manage the line and help senior citizens to get quick service. In total, 275 patients benefited from the eye camp, running from ages 5 to 81. 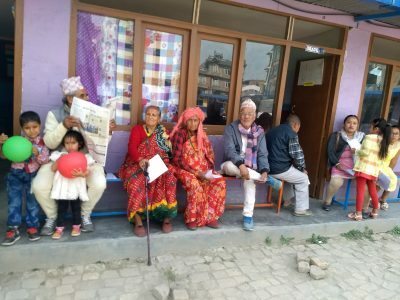 Out of the 275 patients, ten patients were referred for cataract surgery, but due to other medical issues for two of these referrals, only eight patients were able receive cataract surgery. Nepal Netra Jyoti Sangh distributed free medicine for other kinds of treatment such as itching problems, and dry eyes. The cataract surgeries were planned for the second day of the camp, April 1st. The ten minutes for each surgery has changed the quality of life for the eight people who received the surgery. 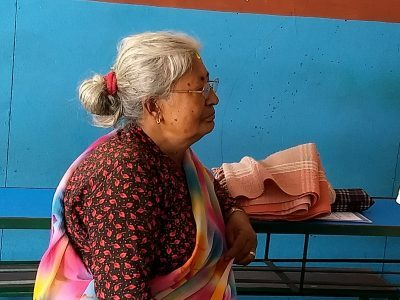 Asta has not been able to see properly from her right eye for the last two years, and even though she had previous opportunities for cataract surgery she was too afraid to have it done. Since her situation was only getting worse, doctors and volunteers counseled her and explained the benefits of cataract surgery, and pointed out that costs of the surgery would be covered by Shenpen, Anamika Aryal, Shenpen Project Coordinator, talked with Asta after her surgery and found her to be very happy that she was able to see with both of her eyes. Due to her vision impairment, Asta Maya had to stop doing some chores in the house. Now, she is much more active and can move freely without having difficulties. 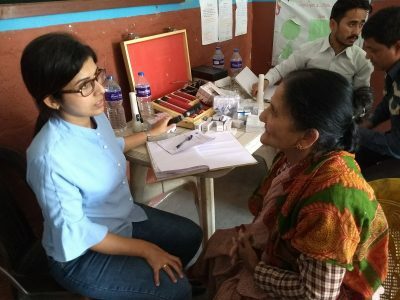 Bodh Laxmi heard that there would be a free eye camp and came all the way from Kavre to have her eyes checked. She arrived to the camp a day early and stayed at her relative’s house. While performing her eye checkup the doctors found that she has cataracts in both of her eyes. 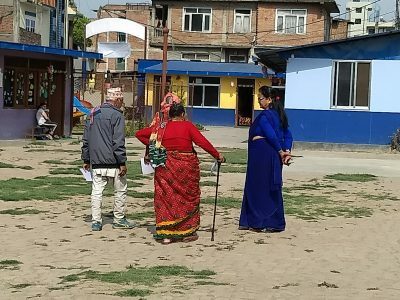 They called her relatives to get consent for the cataract surgery and her son came on Sunday to the school. We sent them to the Nepal Netra Jyoti Sangh’s eye hospital Kirtipur for the surgery. After her surgery, Asta is able to see with her eyes. She is very glad that we conducted the eye camp so that people like her could benefit from the eye camp. She is very thankful to the organizers, sponsors and doctors for providing wonderful services to the poor and needy of Nepal. By checking eyes regularly and offering free or low cost cataract surgeries, it is possible to restore the vision of thousands of people and give them back an active role in their society. Help us help them by helping to sponsor an eye camp with us. Cure Blindness. (2018). Himalayan Cataract Project.